Let's leave the cave explortion to Archeologists with the right safety equipment. 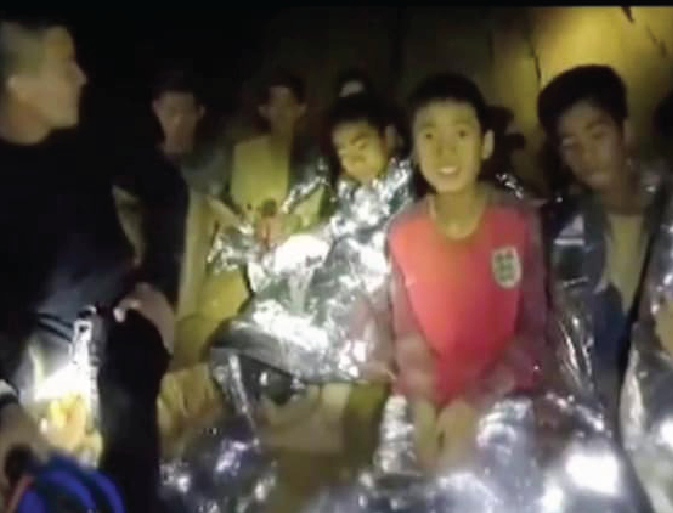 We just witnessed absolutely nerve breaking condition of a partly flooded Cave in northern Thailand where 12 young boys Soccer team players and the Coach were trapped and seemed almost impossible to bring them out safely right away. Everyone prayed they all come out safely as soon as possible, as the lack of Oxygen is most threatening for their lives. Isn't this a good lesson learnt for Parents worldwide not to hand over children to any one whether it is a Teacher, a Coach or a Baby sitter before searching well why and where are they going for the School Field trips or any other independent trips. Such field trips should be only for educational purpose and not for exploration. Why do Children need to go in the Cave? To explore what? To investigate, to study, to survey, to research, for inspection or observation, or just for fun? It is not the job of children to explore the dangerous Caves. Let's leave it to the grown ups and Archeologists with the right safety equipment. Let us remember not to give them so much freedom of deciding to go wherever and with whoever invites them. Let us keep the School education for real 'education' of learning ABC, 123, reading, writing and academic subjects. Apart from that anything else like ethics, moral values, or their personal Gender ID is the duty of parents to teach and not the Schools. Teach them the truth of Body parts they are born with that's what is their true ID. No need to confuse them nor support their confused little minds for their Gender ID etc. Well, it seems somebody's prayer is answered. Miracle happened and Miraculous Mission accomplished by the most bravest 'Rescuers'. All the Boys are out of dangerous hell. This reminds us of the Kahf-Cave story of '7 sleepers of Ephesus', Quran 18-10: "Youths betook in the Cave and prayed: Our Lord bestow on us mercy from Thyself and dispose of our affair--". In pre-Islamic period in the reign of Roman Empire, 7 youths hid in the Cave, remained there asleep for some years until miraculously sealed Wall being demolished, and had no idea the duration of time passed until they went out shopping and the old Money they had wasn't in use any more.